I learned about grammar and over all technical writing. The TalkShop program is well-done. I like grammar the most. The TalkShop Consultants are excellent. TalkShop is, without a doubt, the best English training provider in the country. The TalkShop workshop is more than a review of the lessons learned in school. I like all the segments of the workshop. The program offers comprehensive lessons about technical writing. TalkShop Consultants are knowledgeable. They have mastery of the subject and confidence in their delivery. I learned a lot. The TalkShop program is well-designed and infused with fun activities. Ms. Sheila and Ms. Mench are both beautiful and articulate. TalkShop has helped me learn new things especially on Technical Writing. The TalkShop Consultants helped me understand the basics of right sentence construction and its application to our work. 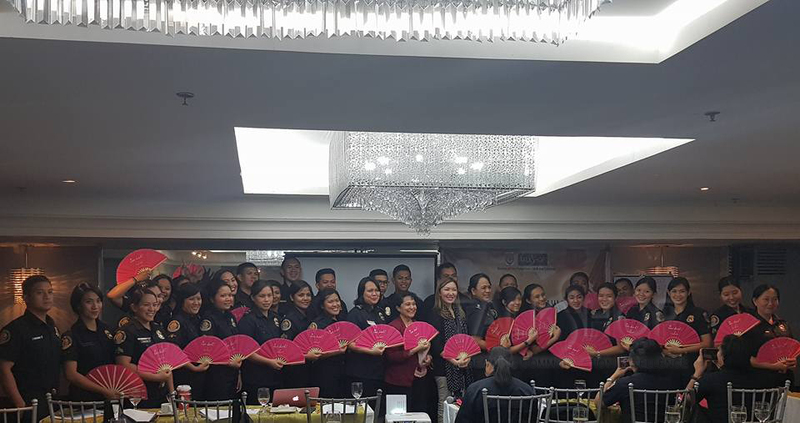 It is a great experience and it will be a helpful tool for my unit and the BFP. The area I like most is the construction of pronouns, subject, verbs and object rule. The TalkShop Consultants are professional and very efficient Speakers. English has been my waterloo even when I was in High School. With training like this, I learned a lot and taught me much about lessons that would be helpful in my work. The TalkShop Speakers are excellent. I would gladly recommend Ms. Menchie and Ms. Sheila for a job well-done. I learned a lot in a more fun and active approach. The program is very helpful and useful. What I like the most in the program is having excellent Trainers. The workshop has helped me, especially in terms of writing memos and enhancing my proficiency. I am delighted to be one of your participants. 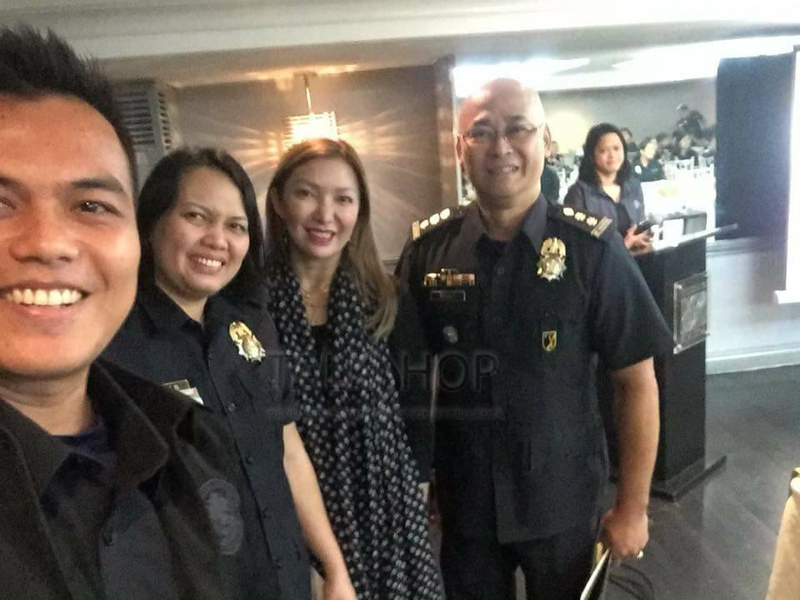 Kudos TalkShop – the best English school in the Philippines! Our TalkShop Consultants are fantastic. I am refreshed on the better ways of writing business letters. I have learned a lot from the seminar. My knowledge has been broadened with regard the rules in technical writing and my grammar has improved much because of the explanation of the brilliant TalkShop Speakers. The program is great. I like the examples and activities provided for us to answer. TalkShop is truly the best in English training! The workshop is excellent. Thank you TalkShop and Bureau of Fire Protection for this opportunity to learn effective communication in such an effective and life changing way. 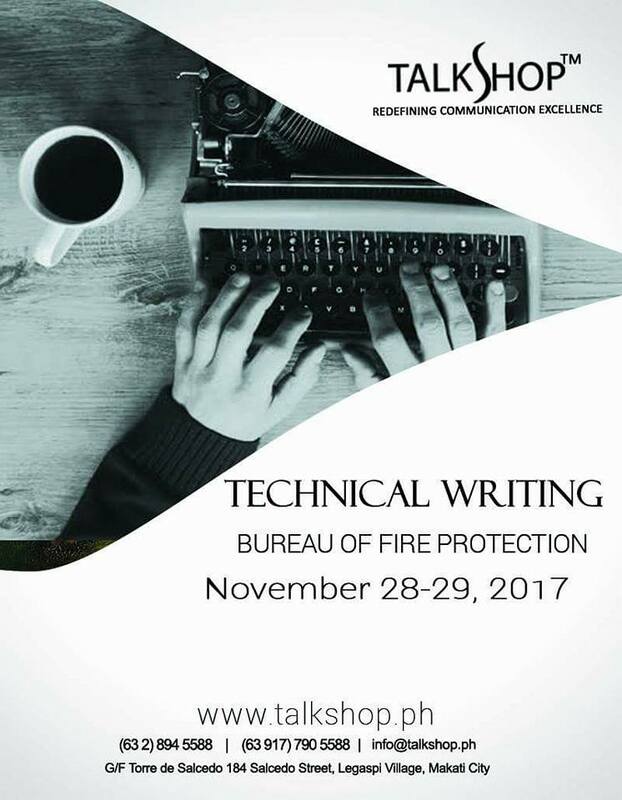 I would like to take this opportunity to thank the TalkShop Consultants for sharing their knowledge to us and teaching us the techniques in technical writing. It helped us refresh our memory. I like prepositions the most. TalkShop Consultants are very professional. I am now more confident in writing than before. TalkShop is a great training provider for English. I am refreshed on the basics of writing. The program is designed well. The flow was well-organized for the gradual and definite learning of the participants. I like grammar the most. The TalkShop Consultants ensure that the discussions are lively. Good job. Now I know why you are the best English school in the Philippines! This workshop made me more accurate, fluent, and a grammar-confident writer. Express yourself in a modest way. I learned a lot. I like grammar the most. TalkShop Consultants are professional. I learned the power of effective writing. I have learned a lot from this workshop like the basic principles of grammar and communication. The program design is great. The TalkShop Consultants are excellent and they teach enthusiastically. The workshop has enriched and reaffirmed my knowledge in grammar and communication. TalkShop is one good training institute to improve spoken and written communication. The program design is perfect. I like the grammar discussions, sentence correction, and parallelism exercise the most. The Consultants are proficient with the English language. TalkShop helped me improve my writing. The Technical Writing workshop conducted by TalkShop is a great help in improving our communication skills. The program is well-designed. TalkShop Consultants are enthusiastic in sharing their knowledge. They make it a point that we understand what is being discussed. I learned a lot from the TalkShop workshop. I’ve been refreshed. I hope they will handle more of the Bureau’s upcoming workshops. Their program is great. There is interaction between the Speaker and the participants. The trainers showed expertise in the field and they have a sense of humor at the same time. They made the 2 day-seminar filled with learning and fun. TalkShop’s Technical Writing workshop helps me improve my skills in writing. There’s a lot that I’ve learned. The Facilitators are lively and charming. I learned to be more critical in letter construction, especially in office communications. Thank you, TalkShop for giving us this kind of seminar. This will help us in doing reports and memos. The program design is very good. I like when we wrote a letter and were able to practice what we learned. The Facilitators are excellent in teaching. This workshop gives me an idea about correct grammar in making memorandum. I like to thank our company, BFP-NCR for conducting the seminar in Technical Writing, especially for choosing TalkShop to do it. The program design is really needed. I like nouns, pronouns and parallelism the most. The TalkShop Speakers are very effective. This has been a good experience for me. English subject has always been my least favorite from way back my school days. I never knew I would need this one day. But thank you TalkShop for this 2-day seminar. It has been a privilege knowing our Trainers who are experts in this topic. Thanks for being patient and approachable. This is a refresher course for me. But more than that, it has been life-changing. It will help me a lot when writing memos and communications in the office. I will now be careful in constructing sentences in my memos. I have learned a lot about Technical Writing. Thank you, TalkShop, for sharing your knowledge and wisdom. The program is well-designed. Grammar is the most interesting lesson I can apply daily. TalkShop Consultant has mastery of the topic which helps us to easily learn all the topics. The workshop made me more aware in writing and speaking English properly. I hope that your company can help more people on Technical Writing, especially those in the government offices so that we can improve ourselves more and improve our services to people. The TalkShop program is well-made. I like the memo the most. TalkShop Consultants are professional. Now I understand grammar and appreciate English more. I learned a lot in this seminar in terms of writing memos. The program design is very effective. The area I like most is memo writing. The TalkShop Consultants are very intelligent and fluent. My knowledge in writing and speaking increased because of this TalkShop workshop. I was able to meet inspirational people that could help me keep in learning further and educating myself to be better every day. I was reminded of the important areas that I should have known while writing a memo or business letters. The program design is concise, direct to the point and easy to understand. The TalkShop Consultants gave their best for us to better understand the topics. At first I thought I would not be enjoying the seminar. However, given the 2 talented Consultants, it made me feel great. Oh, it’s such fulfilling on my part to have finished this seminar. I learned a lot in this Technical Writing workshop. It has improved me more both in writing and communicating my ideas and in dealing with paper work. The program design is excellent. The TalkShop Consultants are excellent in their field. They are good communicators who proved their mastery of the topics. It has transformed me into a better me as a communicator and writer. The Technical Writing of TalkShop helps me boast my confidence, not only in writing but also in speaking. The program design is great. The Consultants are impressive. They let all participants get involved in the program. The Consultants are very good in explaining the topics, giving examples and applying it in activities. The 2-day seminar is useful for it reminded me of several techniques and important rules in planning and writing technical documents which I oftentimes fail to execute properly and effectively due to lack of knowledge of the set of rules, or may be the result of ineffectiveness in validating. I like the style and manner the TalkShop Speakers applied in the discussion. It is good that the seminar commenced from the basics. The Consultants are polite, well-versed about the topics, approachable, and are such great Speakers. Primarily, I was refreshed and convinced to be more critical when it comes to grammar and the rules of technical writing. I am glad that I am one of the participants of this seminar because the Facilitators from TalkShop imparted clearly the meaning of Technical Writing. 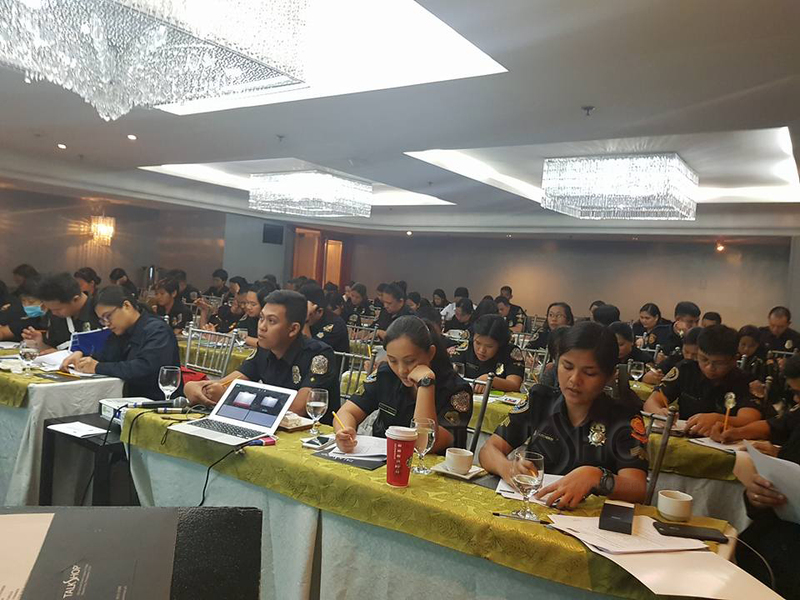 This workshop gave me the techniques and guidelines on how to prepare memos and letters. I like the memo writing the most. The TalkShop Consultants are highly knowledgeable in all the topics. Salute to all the Consultants of TalkShop. Thank you for helping us learn new rules in grammar. We are equipped with these learning which we can use in our daily office transactions. I learned a lot. This is actually a refresher for all of us who have not been in school for a decade. The new rules in writing and even in speaking exercises have helped us. Everything is extremely interesting. The program design is obviously well-planned and organized. The TalkShop Trainers are really nice. They showed expertise on the topics they discussed. Knowing the changes in grammar, the rules and new strategies and techniques, we will be transformed to become more confident and better communicators. 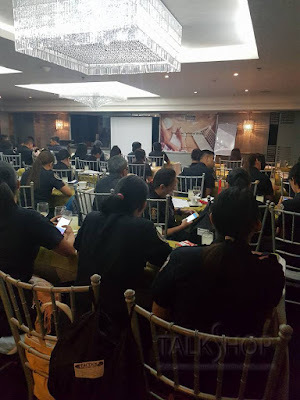 I learned a lot from this TalkShop training, all of which are useful and can be applied in the workplace, drafting memos, proper usage of words and grammar to accurately deliver information, hence, getting the desired response and reports. I realized all the mistakes I’ve been doing when drafting memorandums and letters. The program design is very informative. The TalkShop Consultants are very knowledgeable in their field and extremely sensible and helpful in teaching us correct grammar usage. I’ve learned a lot especially on how to write succinct sentences using the correct words. The TalkShop program design is very useful and I like that the Consultants are so capable of teaching us that they also become such inspirations. The TalkShop Facilitators are very good teachers and communicators. The workshop has helped me enhance my skills to write a memo with correct sentences. The TalkShop Coaches are very good and knowledgeable. I am glad to come here and get to review grammar. Today and yesterday felt like I was travelling back in time during my English classes. I like it best when there is a group interaction, using an enjoyable game relative to the topic, like spelling. The chronological arrangement on how technical writing can be learned is very impressive, beginning from the basic concepts to the importance of IBC structure with the application by way of writing exercises which are well-created and delivered. Ms. Sheila and Ms. Menchie are very friendly and knowledgeable of the topics. They are also accommodating when it comes to answering our queries. All those years I thought my grammar is already good. With TalkShop, I realized that I have lots to learn. It served as a refresher where I learned to correct my missed grammar. I became more encouraged to keep learning and excelling in varied communications. The TalkShop workshop helped me a lot to test, review, and improve my stock knowledge in grammar. The TalkShop Trainers are excellent, they are experts in their filed. They motivated us to think and participate with confidence. I’ve learned a lot from TalkShop’s Technical Writing workshop, the do’s and don’ts, letter writing, business and informal correspondences. My knowledge about effective communication was refreshed and some pieces of information regarding technical writing were added. Both Ms. Sheila and Ms. Mench are entertaining and cool Resource Speakers. I learned not to take for granted the learning for they can be applicable in the future. I learned so much to improve more on how to write memos. The program design is so relevant that we are able to learn more. The topic that I like most is grammar. The TalkShop Consultants are great and they presented the topics very well. I have gained so much from TalkShop’s Technical Writing workshop because all topics are relevant and effective for my designation as clerk. The program design is flawless. I liked the sequence on how they make us understand the parts of speech and their uses. The TalkShop Consultants are knowledgeable and approachable. Now I am more confident in writing reports. I commend our Fire Bureau Department for taking the initiative in organizing this TalkShop seminar. This is the most meaningful training I have ever attended and probably the funniest one. Thanks to our witty Speakers. I learned a lot about the training and it would definitely help me improve my writing skills especially making letters be it business or memorandums. 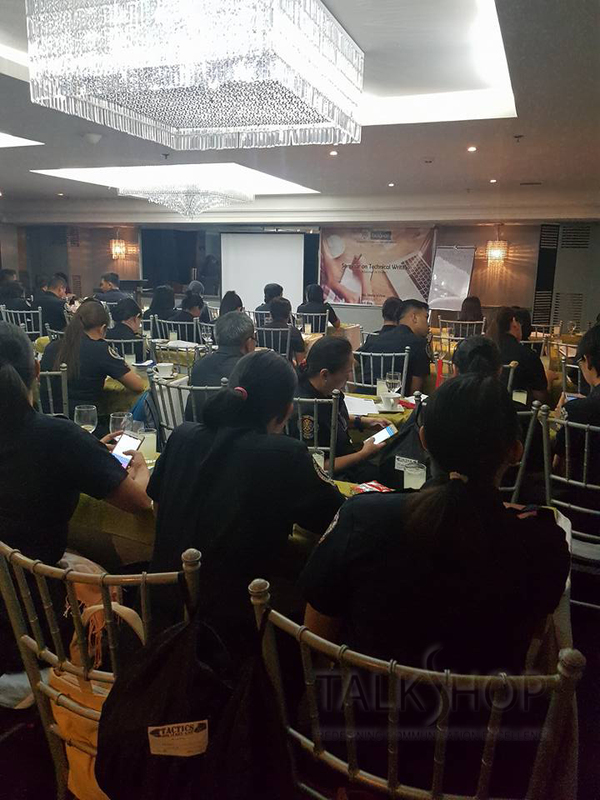 The TalkShop program is suitable for a 2-day seminar. But I would not mind attending more days just to train with TalkShop. I like most about the preposition and their correct usage when applied in the sentence writing. The Consultants are excellent. Kudos TalkShop! I am honored that I am one of the participants who attended TalkShop’s Technical Writing workshop because I feel refreshed about the grammar application. 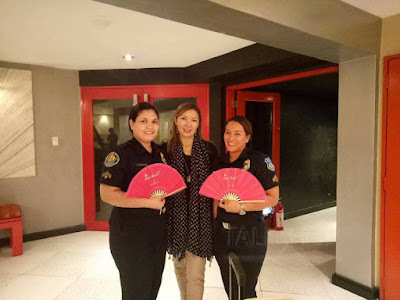 I thank Ms. Sheila Viesca and Ms. Menchie who explained the topics well. I can now improve faster and apply everything that I learned especially since in my designation as drafter at the BFP this is one of my key tasks. The learning is excellent for all that I have learned from the TalkShop seminar clarified everything I learned from school. The program is easy and brief but extremely substantial. I like every topic. It’s relevant in my work. TalkShop Speakers are both excellent for they both supply us with very informative and usable data. I am now confident to compose paragraphs for internal and external communications. I learned a lot and thank you for teaching us like how to prepare memos and other letters that are work-related. I learned the proper use of prepositions. I like parallelism and preposition. The Trainers are effective in making the topics easy to understand. I am very thankful and have no regrets that I am the one who participated in this workshop by TalkShop. I learned so much. I will be able to use all the lessons in my daily communication. The TalkShop program design is well-done. What I like the most is technical writing and grammar concepts. TalkShop Speakers are excellent. They are approachable.